Mission Statement We will continually learn to find better ways to serve our customers and over-deliver in providing exceptional experiences in home entertainment, home automation and home security and simplify the experience with easy to understand technology. We will create a fun and safe environment. We will install home electronics systems that provides entertainment, saves time and keeps you safe in your home or commercial setting. Company Overview The home electronics industry has advanced substantially over the past 20 years with the addition of digital television and wireless networks. With contemporary lifestyle changes, homeowners now expect everything when they want it, where they want it, and how they want it. Small businesses are following suit with their security requests. This company is poised to become a major player in the western Pennsylvania region because of industry product knowledge, quality installation expertise, and impeccable customer service. The company owner is a certified member of the Custom Electronic Design and Installation Association. The company also works with several key wholesale distributors of security and low voltage products to be able to research product choices and create appropriate system recommendations. The Stereoshop, Inc. is Westmoreland County’s and the Pittsburgh Area’s Ultimate Specialty Audio and Video store. With over 40 years of experience in custom installation and design, we go beyond the benefits of national chain superstores. Our friendly, small-town attitude keeps our customers coming back for life. We are a one-stop shop for everything—buying a TV, designing a home theater, or completely integrating smart homes. Our knowledgeable staff can teach you about the latest technology, and our equipment pricing is always competitive. Why go anywhere else? Let The Stereoshop fulfill all of your audio and video needs. Intelligent Surroundings LLC was founded by Steve Cushion Jr company president January 2000. Joseph Cushion joined Steve in 2003 as vice president of the company. Together they have formed a strong integration company providing sevices from standard electrical wiring to sopisticated automation systems. In today's Connected Home families enjoy the movie theater experience with large screen images, dynamic surround sound, and simple one button operation. Home theaters and media rooms are without a doubt the most glamorous segment of our craft. What could be more fun than creating a big screen entertainment system that everyone in the family wants to experience. 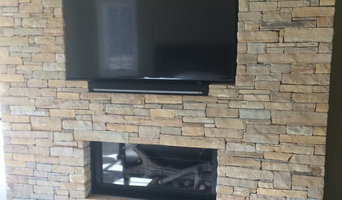 Media rooms (the name for the traditional family room or rec room with a surround sound system installed) typically use a rear projection display measuring 45" diagonal or more. 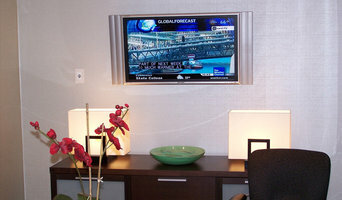 Media rooms are great for people who enjoy sporting events, network programming and movies. Your network and Wi-Fi is the backbone of your home. It is essential that it is installed and setup correctly to provide flawless reliability. From your phones, laptops and desktops, to your printers and access points – everything needs to communicate without a hitch. At EmB Computing, we rely on premium, reliable hardware and utilize our extensive experience to build a network that can and will scale to your every need. Contact us today for help with any of your network or WiFi needs. 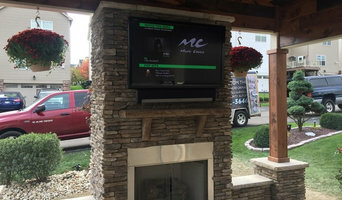 Premiere Audio Video Services is a residential and commercial audio / video design and installation services company based in Mount Pleasant pa. Our installations have been featured in Electronic House magazine, as well as several episodes of the TV show "Man Caves". Find a home media designer on Houzz. Narrow your search in the Professionals section of the website to Heilwood, PA home media designers. You can also look through Heilwood, PA photos by style to find a room you like, then contact the professional who designed it.